As Wall Street and the international business community fret about a worldwide economic slowdown and possible recession by 2020 or 2021, you couldn’t tell any of that fret by listening to the valley’s mayors and economic development staff. In this Las Vegas Business Press file photo, Mayor Carolyn Goodman listens during a meeting of the redevelopment authority at City Hall in downtown Las Vegas. The area mayors have given their annual State of the City addresses and city staff have been making pitches for economic development before commercial development groups such as CREW Las Vegas. They all shared a common theme of touting what the cities did in 2018, optimism for 2019 and the slew of projects in the pipeline. They even talked about how cities were working together to benefit the region to make development possible. 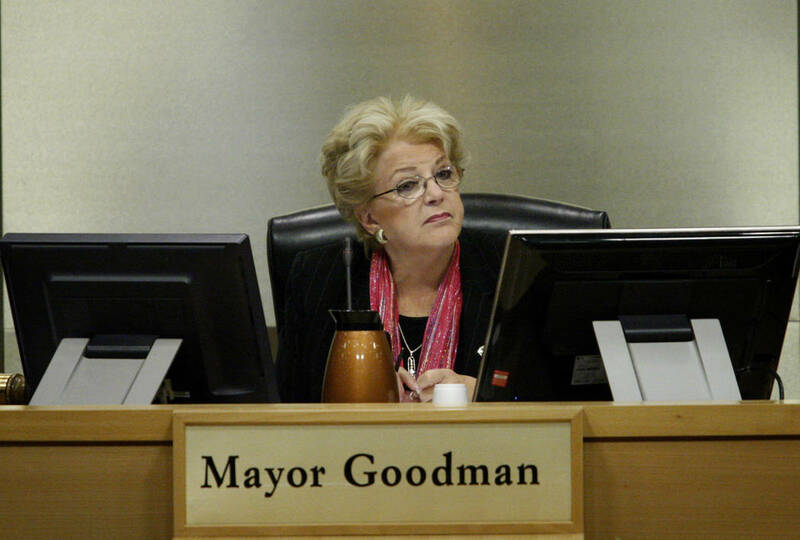 Las Vegas Mayor Carolyn Goodman said despite the roller coaster ride of the stock market and what’s been happening in Washington, D.C., she’s bullish on Las Vegas and the economy. “We’re excited. Our economy is solid, and employment is incredibly strong. The future really looks to be phenomenal for all of us, and we’re going to keep that going,” Goodman said. Lee cited how the Nevada Department of Transportation completed $115 million of infrastructure upgrades in North Las Vegas and has another $100 million in infrastructure improvements slated for the city this year. The Regional Transportation Commission completed $25 million worth of projects in North Las Vegas and funded another $12 million dollars in transportation upgrades, Lee said. They’re working on a $70 million dollar project that will add the last five miles to the 215 Beltway between North Fifth Street and Range Road and make it a fully built-out freeway, he said. As a result of the 7-mile sewer line and freeway interchange built in 2018 at the intersection of Interstate 15 and 215 Beltway, 90 percent of the 1,100 acres of land the city opened up around the new North Beltway Business Park is in design or construction, Lee said. Since 2015, North Las Vegas has issued almost 32,000 permits worth $2 billion dollars, including for Amazon, Lee said. In 2010, Lee said the ratio of new residential versus new commercial and industrial permit value in North Las Vegas was 9 to 1. That ratio is now 2 to 5. For every $200,000 worth of permits in housing, the city approves $500,000 in commercial and industrial projects, he said. “North Las Vegas has emerged as the e-commerce capital of the West and has become known internationally as a top destination for industrial and manufacturing development,” Lee said. In 2018, the Planning Commission approved developments that will bring more than 5,200 new housing units to North Las Vegas, Lee said. Every major homebuilder has projects going now in North Las Vegas: D.R. Horton, KB, Pardee, Harmony Homes, Woodside, American West, Greystone, Lennar, Beazer, Touchstone, Kavison, Richmond American, Century Communities, and Pulte, Lee said. North Las Vegas is drafting a master plan for its 150- acre job creation zone across the street from the VA Hospital to bring more research, development and technology to the area, Lee said. This will be the heart of the city’s new Innovation District that will span from the Deer Springs District to the Speedway and complement the VA Hospital and future UNLV campus. It will bring additional jobs, capital investment and lifestyle amenities to the city, Lee said. Redevelopment efforts have already begun to redefine the downtown urban core, and the city’s just getting started, Lee said. In her address, March talked about how Henderson was again recognized by Money Magazine as one of the 50 best places to live in America. The city’s also been recognized as one of the 35 best cities for people 35 and younger, and as one of the 10 best places to raise children, she said. Apartments.com lists Henderson as one of the best cities for snowbirds and retirees, and it’s been ranked as one of the best cities for singles and for pet lovers, she added. 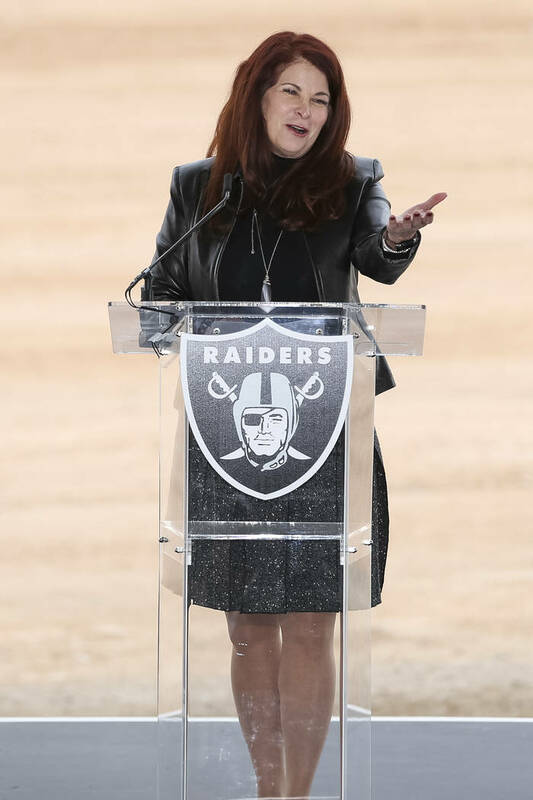 March talked about the sale of land to the Raiders for its corporate headquarters and practice facility that’s under construction with $75 million for the first phase that will create 250 permanent jobs and generate $14 million in property taxes. In addition to Costco opening on St. Rose Parkway, Smith’s Food and Drug opened a West Henderson site for its new $13.5 million dry-good distribution center, which will create 270 new jobs, March said. Just east of the M Resort on St. Rose Parkway will be the Henderson West development, a 110-acre residential, commercial and entertainment urban center that’s envisioned as a new live-work-play community, March said. “We anticipate it will become a significant addition to the western gateway of our city,” March said. What many people don’t realize is that one of the keys to the economic growth in West Hendersonis the Henderson Executive Airport, March said. It’s used for the Levi Strauss distribution facility, the M Resort, Cashman Equipment and by the Raiders. Henderson will be the home of Google’s new $600 million data center that will support North American services for YouTube, Google Calendar and Gmail. At build-out, the project will consist of about 500,000 square feet of facilities on 64 acres, and when fully operational early next year, will employ up to 200 workers with an average annual salary of $65,000, nearly twice the average for Nevada workers, March said. Goodman talked about the increased tourism in downtown and how that will continue to grow with new projects and investments already made. The El Cortez has spent $6.5 million renovating the top five floors with more to come, Goodman said. The Downtown Grand has started construction on a 495-room tower that will be in completed in 2020. Boyd Gaming is building a new 320-foot tower in downtown and plans to overhaul the Fremont into boutique suites, Goodman said. The Plaza has done $15 million in remodeling and will add 150 new rooms to open May 1. Just outside downtown, Palace Station has a $191 million investment adding 575 rooms, restaurants, and a movie theater and meeting space, Goodman said. The Stratosphere, which was acquired by Golden Gaming, has undertaken a multimillion renovation and expansion over years and rebranding it as the Strat, Goodman said. The Circa Resort & Casino will have 777 rooms and suites and a two-level casino and be the tallest tower north of the Strip for a December 2020 opening. 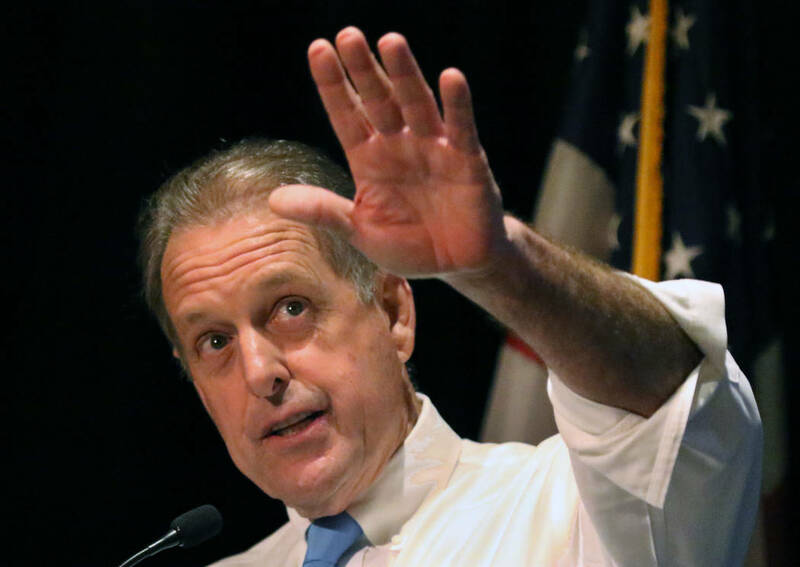 It will be the first stand-alone, ground-up casino since 1975, Goodman said. Breaking ground this quarter, Tennessee-based Southern Land Co. is building 300 apartments and 15,000 square feet of retail. Aspen Heights of Texas is building 299 apartments and 6,000 square feet of retail, Goodman said. The World Market Center plans a $76 million convention facility with 350,000 square feet of meeting and exhibition space. There are even discussions with city officials for a non-gaming boutique hotel to be built downtown, Goodman said.